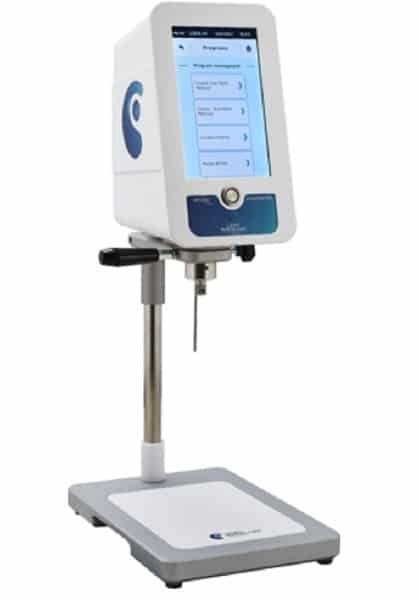 Thanks to its large storage capacity and its easy programming, the RM200 PLUS allows you to realise all your measurements of flow curves, yield point, thixotropic, fitting without software. Save your flow curves and calculate your rheological parameters directly without a computer (Plastic viscosity, flow limit, thixotropy, regression model according to Newton, Bingham, Casson and Ostwald). Choose your attachment system tailored to your product constraints. Low maintenance and reliable, the Lamy range, available in the UK from Meritics Ltd, offers good products at an affordable price. Measurement of flow curves without computer. Integrated PT 100 temperature probe. Programming and saving of methods.